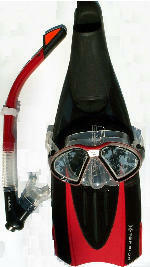 Snorkeling - Php 1,500 per person including mask, snorkel, fins, boots and wetsuit and Set lunch for 1 person. Follow up rental the next day of snorkeling set is Php 500 per person. Boat rental - Php 3,000 to snorkel on the Island or relax on a white sand beach. Maximum 6 person per boat. 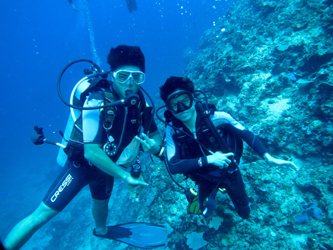 Intro Dive - Php 2,800 per person including 1 shore dive, full gear and Set lunch for 1 person. 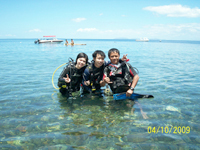 Follow up dive on the same day is Php 1,800 per person. Dive pass is Php 200 per day. 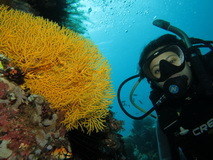 Discover Scuba Diving Package (Day trip) - Php 4,400 per person including 1 shore dive, full gear and Set lunch for 1 person. 3 Fun Dive with your gear (Certified diver) - Php 6,300 per person including boat, guide, tanks, weights, dive pass and set lunch . Minimum 2 divers. 3 Fun Dive with our gear (Certified diver) - Php 7,300 per person including boat, guide, tanks, weights, dive pass and set lunch . Minimum 2 divers. 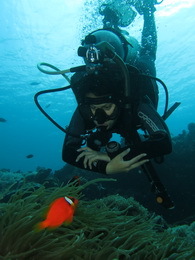 Open Water Diver course - Php 18,500 per person including full gear rental, book, logbook and license or certification. 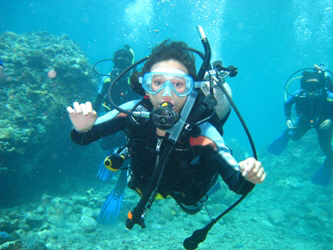 Open Water Diver Course Package- Php 28,700 per person including full gear rental, book, logbook and license or certification, 2N3D room and 7 meals at Anilao Beach Buzz and Dive Resort, 1 boat rental and 1 dive pass. 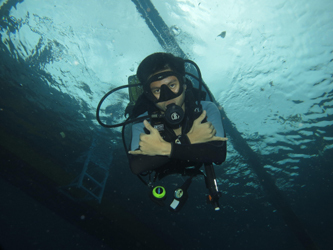 Advanced Open Water Diver course - Php 17,000 per person including full gear rental, book, logbook and license or certification. Advanced Open Water Diver Course Package- Php 23,700 per person including full gear rental, book, logbook and license or certification. 1N2D room and 4 meals at Anilao Beach and Dive Resort, 1 boat rental and 1 dive pass. Enriched Air Diver course (Nitrox) Package- Php 12,000 per person including 2 dives with full gear rental, book, logbook and license or certification, Set lunch and 1 dive pass.